The diaphragm pumps that have proven themselves over decades with dependable performance and minimal maintenance. Easily switches from inline to transverse flow. 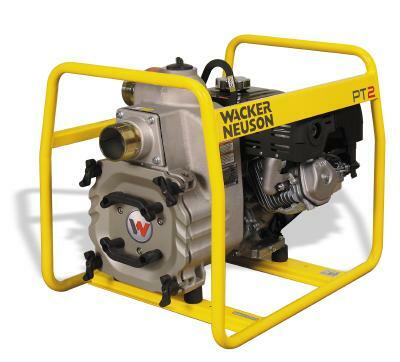 Wacker Neuson’s centrifugal trash pumps have proven themselves on jobsites around the world. With an optimized impeller design and built-in contractor friendly features, this line of trash pumps has redefined the quality and durability standards of self-priming centrifugal trash pumps. Self-priming high performance pump capable of handling solids up to 1 inch, ideal for most jobsites that require fast dewatering on command. 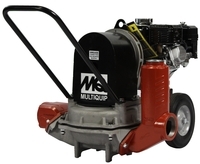 This is Multiquip’s most popular pump model. The QP3TH is perfect for many pumping applications from dewatering to water tank and water truck use. Dual discharge ports increase the productivity and practicality of this gasoline-powered trash pump. Can pump up to 396 gallons (1,500 liters) per minute. Dual 3-inch discharge ports to adapt to different applications. Silicon/silicon mechanical seal for durability. Large cleanout cover removes in seconds without tools. Wacker Neuson’s diaphragm trash pumps can move almost anything that flows. 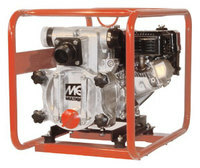 Built with high quality components, you will be assured of many years of top performance and durability. Designed to handle solids up to 1-5/8 inches (41mm), ideal for dewatering mud slurries and seepage areas.